Please note delivery prices are for mainland UK. Do not place an order if you live outside the UK as we do not ship to other countries. This is due to prohibitive shipping costs. Towels and jewellery are supplied direct from Big Matters and are subject to the following delivery terms and conditions.Books and DVDS will come direct from the supplier. The Big Matters towel is perfect for people of all sizes, it measures around 5ft by over 6ft. Wrap yourself properly after the bath or use as a family towel as its great on the beach. 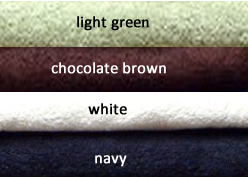 100 % Cotton Beach / Bath Towels 450GSM.Fully machine washable.Size - 150cm x 200cm. Appx 60in (5ft) x 78in (6.5ft). 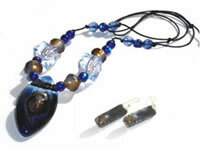 Dark blue hand-painted fused glass pendant with bubbly effects and chunky amber and blue resin beads on a matching colour cotton cord. 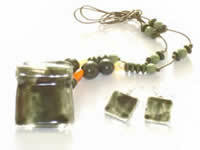 Supplied with matching earrings and in white gift box. 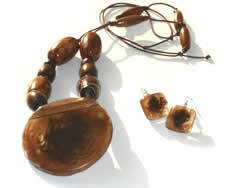 Dark brown hand-painted fused glass pendant with chunky resin and wooden beads on a matching colour cotton cord. 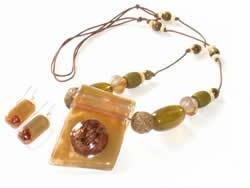 Fused glass pendant with chunky resin and beads on a matching colour cotton cord. 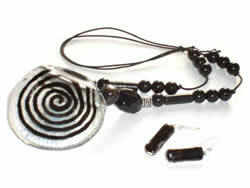 Hand-painted fused glass pendant in black and spiral effects with chunky resin and metal beads on a matching colour cotton cord. 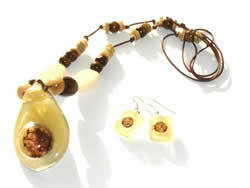 * Please note these items are not for purchase from Big Matters directly . Any item purchased via a link below will be bought under a direct sale with the supplier site and at the sole discretion of the purchaser. All content within Big Matters website is provided for general information only and should not be treated as a substitute for the medical advice, diagnosis or treatment of your own doctor or any other health care professional. Big Matters Ltd is not liable for the contents of any external internet sites listed, nor does it endorse any commercial product or service mentioned or advised on any of the sites. Always seek the advice of your doctor or other qualified health care provider if you have any questions regarding a medical condition, your diet or before embarking on any exercise program or if you're in any way concerned about your health.